Another exciting addition in the fall of 2010 is Sennett 010X, a SAV 004 Predominant 4438 daughter out of a great EXLR Moderator cow. We are thrilled to partner with the Linhart Family of Leon, Iowa on this super broody young female. 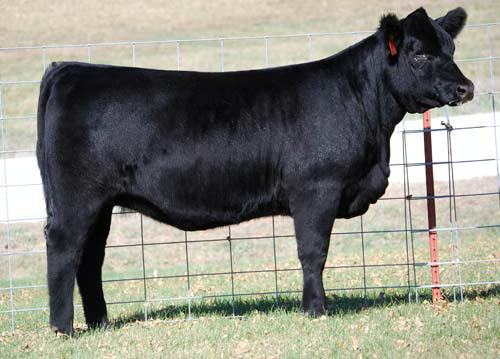 Our pick of Linhart’s 2010 Fall Harvest Sale, this 44% LimFlex heifer has a world of depth and broodiness and we expect her to become a cornerstone for our LimFlex program. With extremely well balanced EPD’s including a super marbling number, we feel that she has a lot to offer the breed. Look for her calves in the future.